Every now and then when you go travelling, you come across something out of the ordinary. If you are very lucky, you might see something unique and quite amazing, the Silver Swan is such a sight. 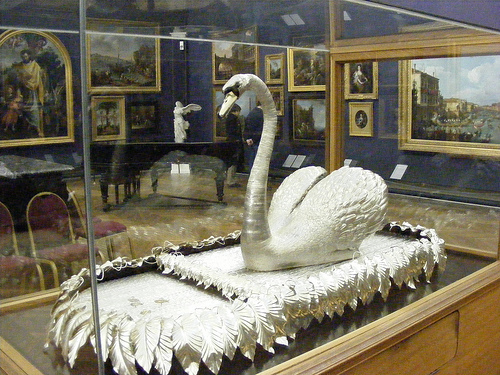 The Silver Swan Automaton is housed in the Bowes Museum, just outside the small but pretty market-town of Barnards Castles in the heart of beautiful Teesdale and in the shadow of the north Pennine hills. If you are in London then it is a good 4 or 5 hours drive away but even at that distance I would quite happily go there right now to once again visit this amazing museum. 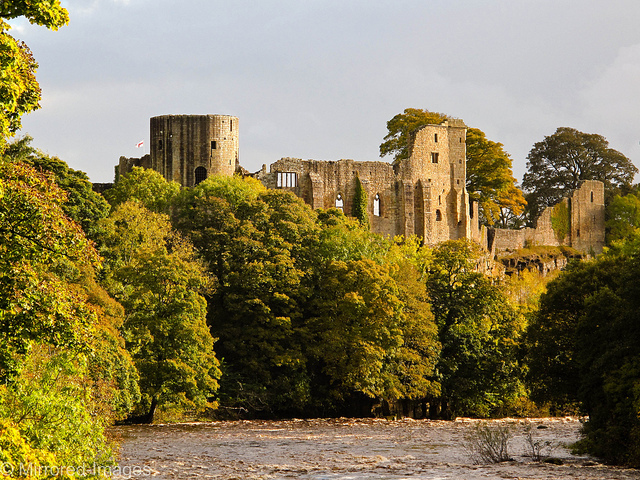 The dramatic ruins of Barnard Castle in beautiful County Durham overlook the town that was built around it. For those of you holidaying in The Lake District, Yorkshire or Durham/Newcastle/Northumberland area then there really is no excuse not to go, I promise you won’t regret it. Living so close to London, it can sometimes be easy to get a little jaded with museums, especially as I visit plenty on my overseas visits. However The Bowes Museum is simply one of the best days out I have ever had and equals if not surpasses most museums in London, Paris or Berlin. Surely the grandest provincial museum exterior? 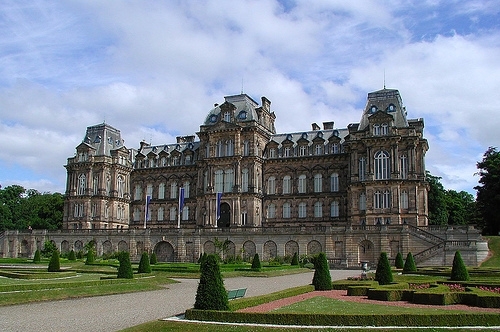 The Bowes Museum was built on the instruction of successful businessman John Bowes and his wife a Parisian actress by the name of Josephine Coffin-Chevallier. John Bowes was one of those typically community spirited individuals that did so much for Britain in the 19th Century. Victorians were all for science, learning and education he wanted to compete with London and Paris in building the best collection he could but he did it entirely through his own pocket. He wanted to build a museum for the ordinary people in his local community and his vision saw a world class museum full of fine art of international significance. The building was designed in the manner of the finest French Châteaus by French architect Jules Pellechet and John Edward Watson of Newcastle. It was built on an epic scope, like no other building of its time. Such was its size that sadly neither John Bowes or his wife survived to see its completion though they had spent decades buying up and amassing tens of thousands of items of art for the museum. The museum is set amongst grand formal gardens and naturalistic park-lands, it looks incredibly grandiose and imposing when one drives in through the entrance gates. Looking more like stairs in a palace than a public museum. You can just about see the feet of a painting of Admiral Nelson (if I remember correctly in the mirror). 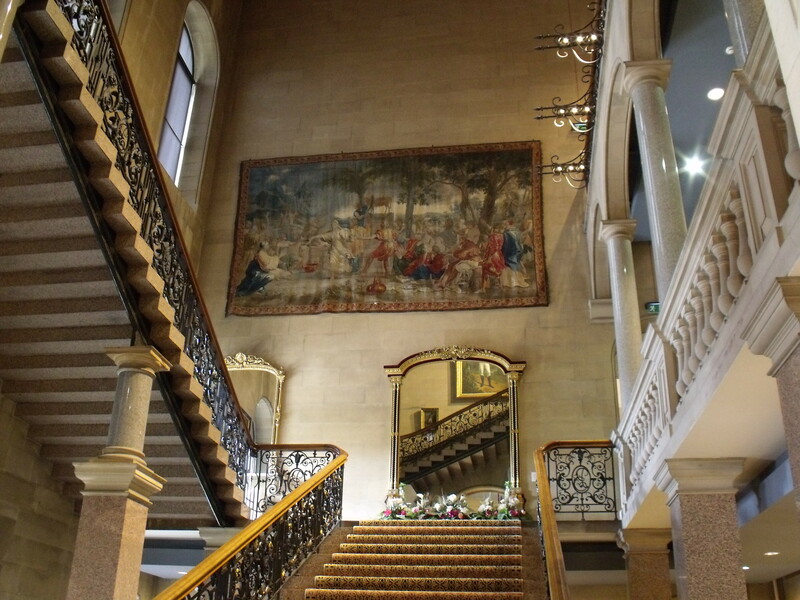 Inside, the building is decorate almost like a sumptuous palace with marble floors and pillars, grand stair cases and some of the finest paintings in Europe on display. The museum has a number of permanent exhibits in areas such as textiles and clothing, furniture, ceramics. 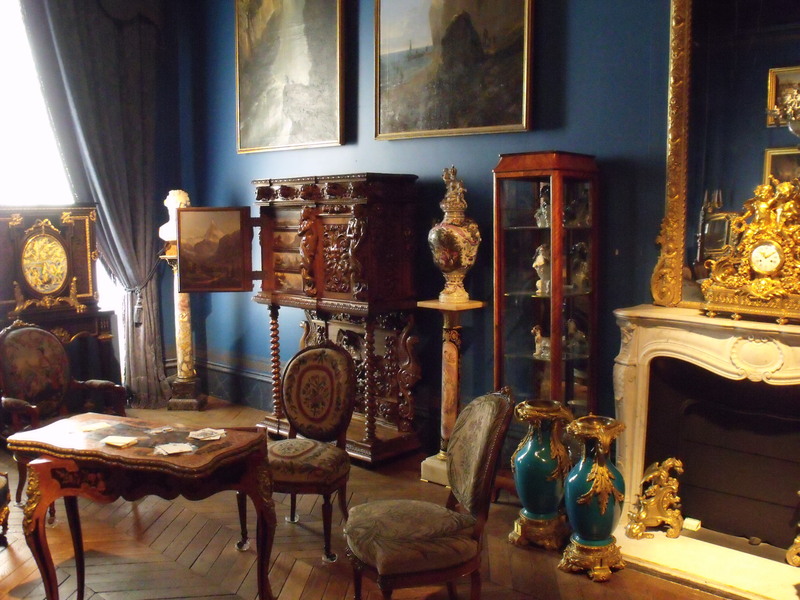 There are also frequent temporary exhibits which have recently included works by celebrated artists such as Monet. When I visited, we spent about 6 hours there and still didn’t have time to see everything, at least not without rushing some areas. The museum is also home to a fine restaurant and tea-room which also has much better and more reasonably priced food than any museum or gallery in London I’ve been too. No matter how many fine attractions there are in The Bowes Museum, the undoubted star of them all is the Silver Swan Automaton. It is a clockwork piece designed by John Joseph Merlin with its first owner being James Cox who had a Mechanical Museum of wonders. The silver swan is one of a kind. The swan is life-size and is controlled by three separate clockwork mechanisms. The Silver Swan rests on a stream made of twisted glass rods interspersed with silver fish. When the mechanism is wound up, the glass rods rotate, the music begins, and the Swan twists its head to the left and right and appears to preen its back. It then appears to sight a fish in the water below and bends down to catch it, which it then swallows as the music stops and it resumes its upright position. Due to its great age and the countless times it has performed, it was recently necessary to strip down the swan, repair and clean all of its component parts. Here is a video featuring some of this process. The silver swan is simply amazing and incredibly life-like and beautiful. No amount of description or photos can do it justice but I can say that it is right up there with seeing the Crown Jewels, Mona Lisa or Tutankhamen’s gold mask. Except that the silver swan is more beautiful and delicately, intricately designed than can be humanly possible, especially 300 years ago. It is simply magical. For much of the 20th Century the swan was open to the public to touch and was actively run a lot more than today. Nowadays the swan performs just once a day like clockwork at 2pm. Hurry, it is nearly 2pm and the Silver Swan is going to perform for us! It is hard to see everything on the video, do you watch the swan preening itself and looking for fish, the flowing river it sits on or the little silver fish? You have to be equally quick when you watch it in real-life but then that just makes for a great excuse to visit the museum again. Here it is from a different viewpoint where you can more easily see the flowing water and swimming fish. There is evidence that behind the swan, there used to be a silver waterfall but this is likely to have been lost or stolen on one of its tours long before John Bowes acquired it to be the centrepiece of his collection. If you have any time left after visiting this superb museum and you are heading back towards the A1M you might just come across the ruined Egglestone Abbey. There are many other great buildings to look at but nearby but this provides just a welcome opportunity to get some fresh air before driving home. Just another great reason when visiting the U.K. not to spend all your time in London. 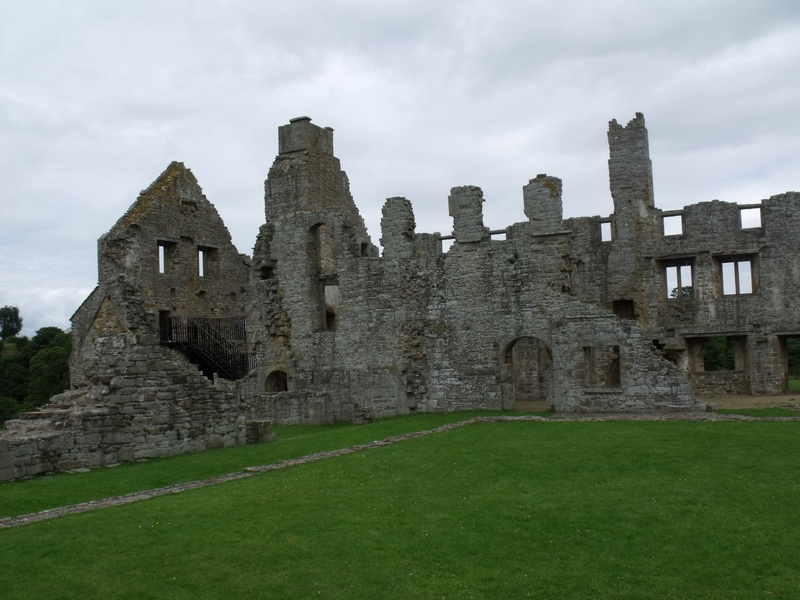 This entry was posted in Culture, history, Northumberland and Durham, Travel and tagged Architecture, Art, Barnard Castle, County Durham, Culture, Egglestone Abbey, history, holiday, Museums, Silver Swan, The Bowes Museum, Travel. Bookmark the permalink. The swan does look amazing. Like you, I could spend hours on end at these stately homes. We make sure we see a few every time we come to the UK. Will have to put this on this list. It is a really breathtaking museum, I’m sure you won’t be disappointed by it. If I ever travel nearby, this will be on my list of things to see! Thanks for sharing the history of the area along with you own personal experience there. The sights alone are quite magnificent and picturesque. I’m also a die-hard Twain fan and I’d never read anything he wrote about swans – those few lines of his were fantastic. I’m glad that you like it. It is such an unexpectedly great museum from the moment you go through the front gates and make one or two exclamations under your breath! Well, this is lovely! Wish I were in the UK to see it. Thanks Laura. If you do ever come over, try and go and see it. It’s in the middle of some beautiful countryside too. The whole house/museum looks beautiful–and the swan is amazing! Thanks for sharing. You’re welcome. The swans seems like it might just come to life at any moment! It has a gorgeous exterior.I can easily see spending an entire day wandering that museum. I’ve lived in the north-east of England my whole life and I’ve never been to that museum. Last time I was at the castle I was only little. Amazing what’s on your doorstep that you forget about. Wow, the swan and the museum are amazing! I would want to live there. I would love to see this someday. Thanks for sharing it. thank you for sharing! wow. I saw the silver swan in the sixties when I worked at a jewellers called Camerer Cuss & Co in New Oxford Street, London. They had a clock repair /autonomon workshop . The swan was being cleaned and overhauled there. For some reason I thought the swan was on show at Longest House then. I have never forgotten it! Sorry should be Longest House!